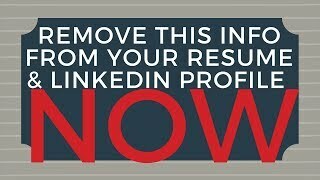 Remove this Information from ?Your Resume & LinkedIn Profile NOW! Too Busy for LinkedIn? Here's Productivity Tips to Make Time! 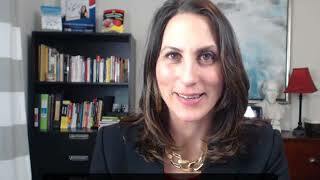 2-Minute Networking Tip Video: Just got back from a fantastic networking event and I realized I needed to record this video. At the event, so many people said to me, "We need to connect on LinkedIn, can I have your business card?" "Let's just use our phones," I said. "HUH?" was the universal answer. And with that, I quickly realized very few people know about the LinkedIn Code functionality that makes connecting with people SUPER EASY. So I just recorded this video with step by step directions. You'll never need to collect another business card again! 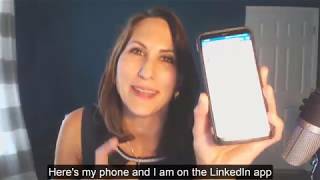 Quick Networking Tip Video: I just presented to a professional group all about LinkedIn and one of the tips I gave was how to connect with everyone in the room... at once. The audience was surprised that this functionality even existed and everyone planned on using it moving forward. 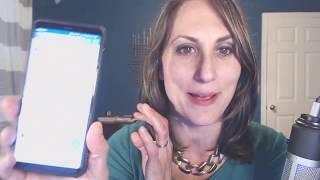 Watch this video to see how you too can mass connect at an event, conference or tradeshow. I often get asked if it’s possible to reorder experiences on your LinkedIn profile. The short answer is no. 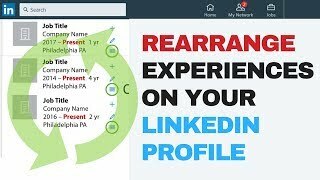 LinkedIn sticks with a straight chronological structure with the most current position at the top and older positions cascading toward the bottom of the profile. However, there is one exception to this rule: CONCURRENT, CURRENT experiences. If you hold two or more current experiences at the same time, you can choose the order in which to list them on your profile. Here’s how: 1. Open your LinkedIn profile. 2. Scroll through your profile to the Experience section and hover your mouse pointer over the current position you’d like to rearrange. 3. Click and hold the icon that has a series of horizontal lines on it and drag it into the desired position. When you reorder experiences, the top-most experience will lead in the Current line in the top section of your profile. Visit LinkedIn-Makeover.com to have your profile professionally written and optimized! I see a lot of resumes and almost 95% have this one bit of information in common... they include their home address on the resume's letterhead. What's so wrong with that? Hiring managers, recruiters, HR professionals often will GOOGLE your home address. Google street view will provide them an image of your home. These are people with biases, these are people making judgments. Certainly, later in the process, when it's time to fill out forms-- absolutely provide your home address. But early in the process, no one needs to know where you live. 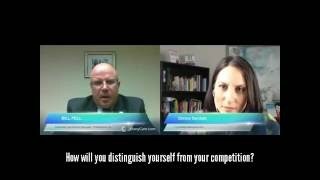 In this video, recruiter BILL FELL provides 4 easy #jobsearch tweaks to make to your #LinkedIn Settings so you can get found by recruiters. Learn the settings inside LinkedIn that affect your job search and how to optimize them. These 4 tips will make it easier for recruiters, employers, hiring managers, and HR professionals to find you. Multiple interviews but no offers? 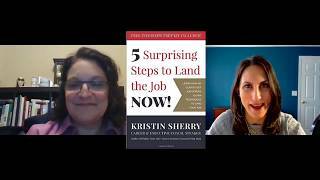 Career Consultant and author, Kristin Sherry gives her tips on how to ace job interviews in this video. "Your network is your net worth." 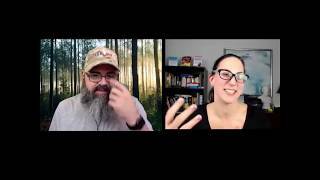 In this video, I talk to networking concierge and master, Ashley Owens and get her secrets to successful networking for all types of professionals. Don't feel like you have the time for #LinkedIn? 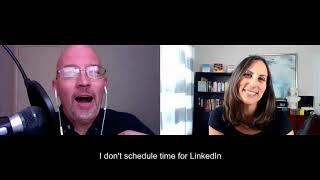 #Productivity expert Mark Struczewski arms you with tips & tricks to find the time to dominate Social Media in this quick video interview. The job search has radically changed over the last few years. Recruiters are used much more commonly and LinkedIn is the tool of choice for hiring managers, recruiters, and job seekers. 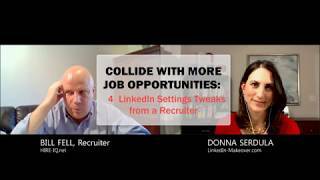 Donna Serdula and Executive Recruiter, Bill Fell reveal their effective strategies to working with recruiters and leveraging LinkedIn for a successful job search. You'll learn: Tips to best attract recruiters & job opportunities What recruiters want to see on your LinkedIn profile & resume How to GET FOUND by recruiters and potential business partners. Get your most burning job search questions answered! & much more! 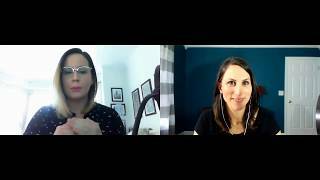 I asked podcaster, Jaime Jay, how to get booked on more podcasts. He gave me a slew of tips! 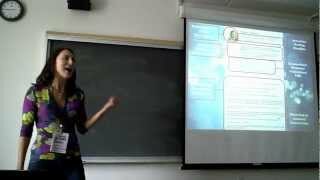 This video is SUPER OLD but it still has legs-- lots of good tips, a fun audience, check it out! Microsoft acquired LinkedIn back in June of 2016 for 26 Billion dollars. And since then, Microsoft is working hard at integrating LinkedIn into their products And one of the most recent ways they've LinkedIn is through their Microsoft Word Resume Assistant.